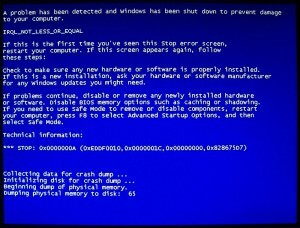 This Windows 7 stop 0x0000000A IRQL_NOT_LESS_OR_EQUAL error message is typically due to faulty or incompatible hardware or software. Other causes could be bad memory or a malware infection. 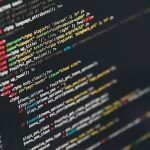 This error message indicates that a kernel-mode process or driver attempted to access a memory location which it did not have permission, or the kernel interrupt request level (IRQL) was too high to allow it to access the memory location. A kernel-mode process can access only other processes that have an IRQL lower than, or equal to its own. The first step you should take is checking your computer for malware. 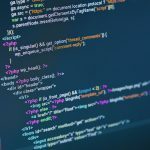 Boot the computer into safe-mode by pressing F8 at start-up and run a malware scan, read my post on how to check your computer for malware. A irql_not_less_or_equal stop 0xA error might occur due to a faulty driver, service, or firmware update. To verify this you can use some tools such as nirsoft bluescreenview or whocrashed to find which driver is causing the problem, then you can disable it or uninstall it. 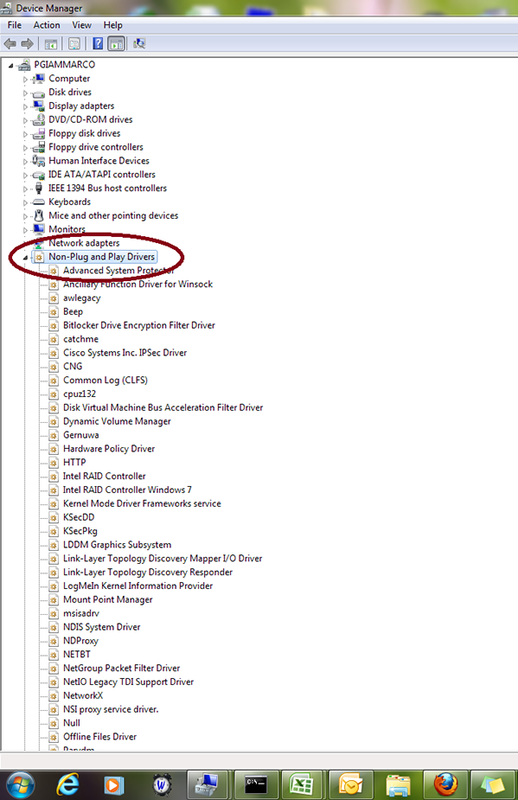 If disabling or uninstalling the driver resolves the issue check the manufacturer’s website or use windows update to check for an updated driver. Click on the Windows button in the left hand corner. Type in “msconfig” in the text box and press enter. 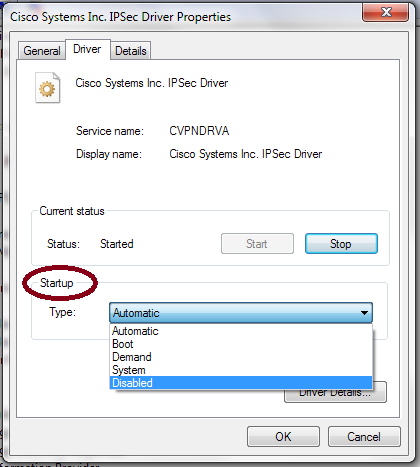 Click on the startup tab and uncheck the program that is related to the driver causing the problem. 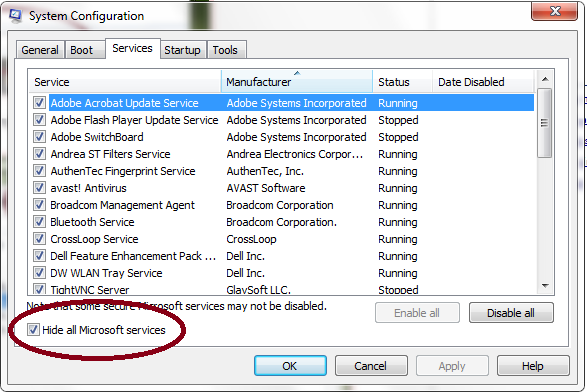 If the program is not listed under startup click on the services tab and check hide all Microsoft services. Then uncheck the service that is related to the driver causing the problem. Type in “devmgmt.msc” in the text box and press enter. 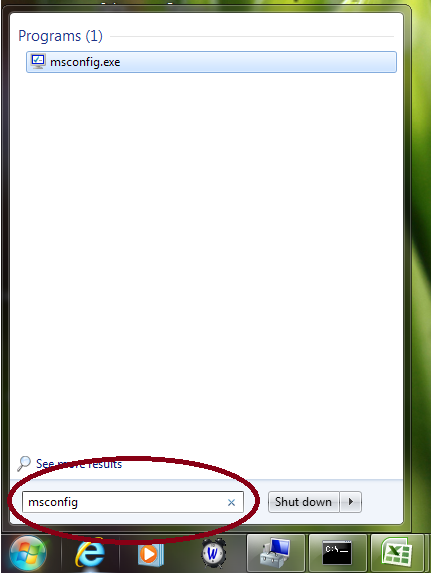 When the window opens click on View / Show hidden devices. 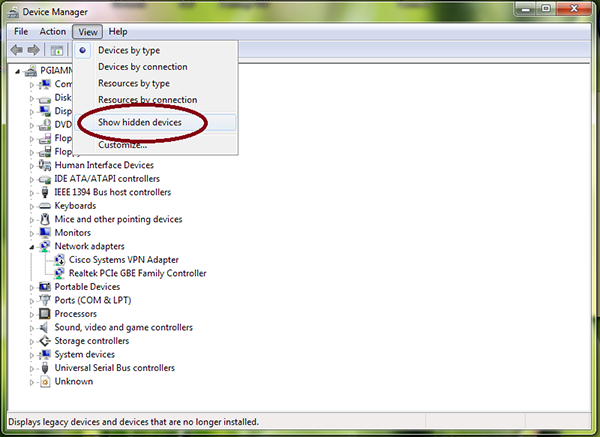 Then double click on Non-Plug and Play Drivers. Look for the device that is related to the driver causing the problem. Click on the Driver tab, and click on Stop to turn off the device. 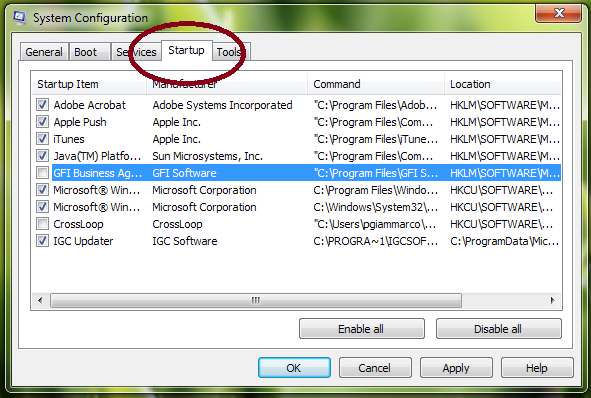 Then next to startup change it to disabled, remember what it is set to in case you need to re-enable it though. A irql_not_less_or_equal stop 0xA message might also occur due to bad memory or failing hardware (for example, video cards or disk adapters). To check for bad memory you can use memtest86+. If your memory is good try removing or replacing your hardware to determine the cause of the problem. You may have to remove one device at a time to pin point the defective hardware. In some windows 7 machines this stop 0xA message occurs because Power Manager creates a memory leak which causes the computer to crash. Microsoft has issued a hot fix for this, you can download it here. Update your bios to the latest version. Before you update it though check to see what bios version you have. Type in “msinfo32” in the text box and press enter. Next to System Model it will tell you your Computer Model. Next to System Manufacturer it will tell you your computer’s manufacture. Next to Bios Version / Date it will tell you the version you have. 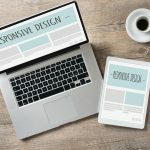 Now go to your manufacture’s website and check for the latest bios for your computer model. 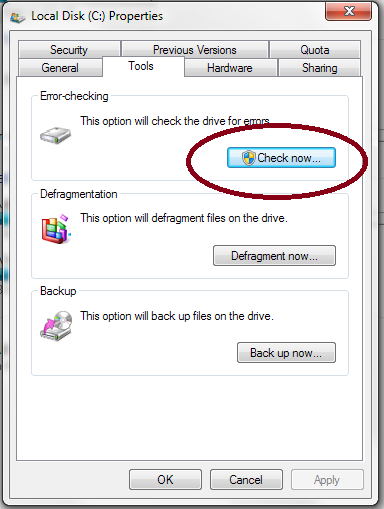 Use the Windows system File Checker tool to check for missing or corrupted system files. Check your hard drive for errors by running chkdsk. Click on the tools and click check now. 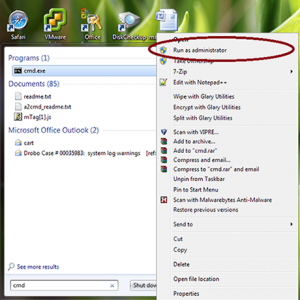 Check automatically fix file system errors. Check scan for and attempt recovery of bad sectors. Click Schedule Disk Check and restart the computer.